Sony Trademarks New PS Vita 3000 Model in Japan? 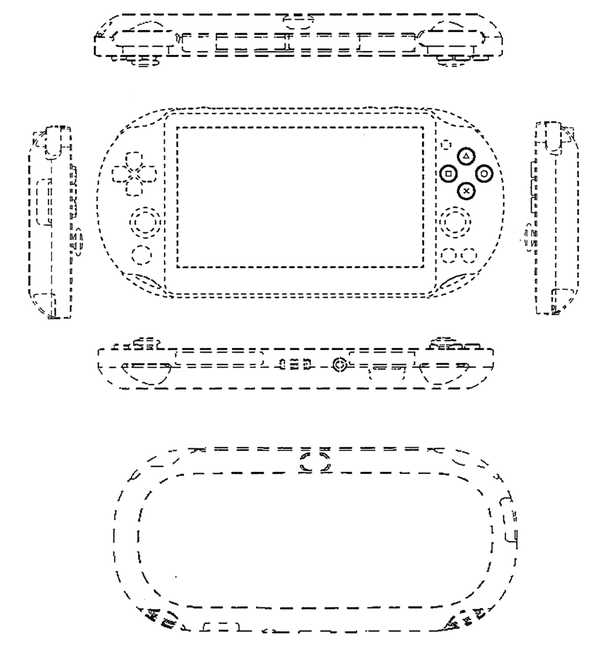 Sony Trademarks PS Vita 3000 Model in Japan? The trademark was filed in Japan by Sony Computer Entertainment on April 1, which, while being April Fools Day, is also the first day of the new fiscal year in Japan. Business, school, and verily, life begins in April in Japan. But the date is why so many people thought the Squaresoft and Enix merger was a joke on April 2003. You may notice a few things on there, such as unidentified ports and little outlines that may be — just may be — L2 and R2 triggers. Such an inclusion would relegate the usefulness of third-party Vita L2-R2 trigger devices to older models alone. Those rumors are, of course, running wild, along with many others — taking SD cards instead of just proprietary memory cards, better battery life, and all the usual jazz. None of it has been announced, and, as it is with every new product, some is bound to end up just wishful thinking. We’ll keep you posted with further developments.